Asian Development Bank (ADB) is all set to finance the Hyderabad Metro as well as many infrastructure projects going on in the city. Hyderabad: Asian Development Bank (ADB) is all set to finance the Hyderabad Metro as well as many infrastructure projects going on in the city. The ADD team has already started going around the city and is meeting officials to take things ahead. ADB has started preparing grounds for taking things ahead. Their officials are holding meetings to take the funding proposal ahead. A team of ADB has already visited the city. The team of ADB has also met SK Joshi, Chief Secretary as well as principal secretary, MAUD, Arvind Kumar. During the meeting the officials discussed on how financial assistance can be extended to fund various infrastructure projects in Hyderabad including Hyderabad Metro. ADB gave a list of projects their bank was willing to fund. These include the second phase of Hyderabad Metro Rail, the Strategic Road Development Programme to construct new flyovers, Musi beautification and multi-grade separators. The finding has been made possible as earlier GHMC Mayor Bonthu has submitted proposal to ADB. The proposal was given to get financial assistance for several infrastructure projects going on in the city. Bonthu has given the proposal during his Delhi trip earlier. ADB executive director, Kshatrapati Shivaji as well as Rajeev Singh, senior country specialist, had discussed the infrastructure projects being planned in the city and the funds necessary to implement these projects. Principal Secretary, MAUD, Arvind Kumar is optimistic about the development. He is happy with preliminary talks and stated that the discussions were encouraging. The government will soon be approaching ADB with detailed project reports of diverse infrastructure projects to get funding. 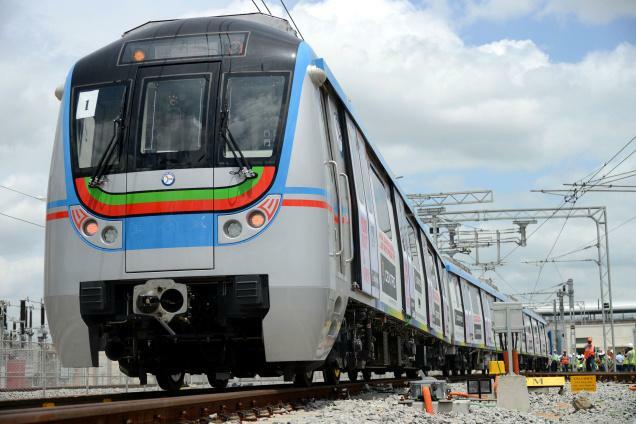 With financial backing, Hyderabad Metro’s second phase work will get major boost. Work would pick momentum and metro project will be able to met its deadline. Other infrastructure projects will also begin and end on time with ADB showing interest in funding them.